The Bosch GLI18V-1900N 18V LED Floodlight allows users to illuminate virtually any work area at any time of day, with a compact, carry-along tool. It provides an outstanding 1,900 lumens, which will effectively illuminate a large workspace. It offers complete compatibility with any battery in the Bosch 18V Lithium-Ion system. This floodlight has a 1,000-lumen brightness setting, which provides longer operation, allowing the light to run up to ten hours on an 18V 6.0 Ah battery (not included). It features a swiveling stand that provides five working angles, so users can adjust the lamp so the angle is just right. The stand also acts as a protective frame for enhanced durability, and it includes a 5/8 inch -11 thread mount for compatibility with standard tripods. The DEWALT 20V MAX Cordless Spotlight (DCL043) illuminates your job site with powerful LED technology. This guaranteed-tough spotlight features three bright LEDs to shed light on dark work areas, helping you get the job done. Two brightness settings provide flexibility for maximum light output or extended run time. A 90-degree pivoting head allows light to be projected in multiple directions to illuminate distant surfaces. This light is part of the versatile 20V Max system and is sold on its own, so you can add it to your collection and use with your existing DEWALT battery and charger. Feit Electric's 4 ft. 2 LED Utility Light uses 38-Watts and comes fully assembled with an ultra light weight design that can be used in hanging or flush mount installation. This no-humming LED offers a cool white light and adds instant full brightness to any dark lit area even in sub-zero temperatures. There are no lamps to dispose of or replace with this 4 ft. 2 lamp which is ideal for any garage, game room, basement, work bench, closet and or cabinet. Includes two 6 in. hanging wire harnesses as well as a 5 ft. plug-in chord and easy on/off light switch. Durable smooth edge housing provides the light you need along with a sleek modern design. Feit Electric's 4 ft. 1 LED Utility Light uses 19-Watt and comes fully assembled with an ultra light weight design that can be used in hanging or flush mount installation. This no-humming LED offers a cool white light and adds instant full brightness to any dark lit area even in sub-zero temperatures. There are no lamps to dispose of or replace with this 4 ft. 1 lamp which is ideal for any garage, game room, basement, work bench, closet and or cabinet. Includes two 6 in. hanging wire harnesses as well as a 5 ft. plug-in chord and easy on/off light switch. Durable smooth edge housing provides the light you need along with a sleek modern design. Hd+ Focus Headlight is rated 4.5 out of 5 by 127. 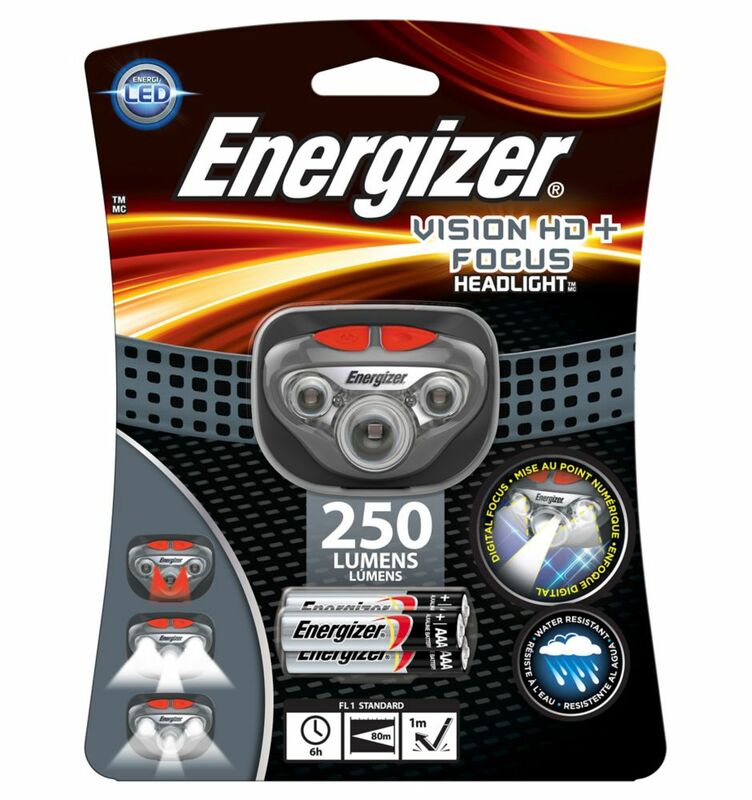 Rated 5 out of 5 by HomeDepotCustomer from Great head lamp. Really bright and good battery life.... Great head lamp. Really bright and good battery life. Rated 5 out of 5 by HomeDepotCustomer from Perfect for work and play. Night jog. Night walk. ... Perfect for work and play. Night jog. Night walk. Rated 4 out of 5 by Ramirez from Great for a few uses, though it is not water proof as claimed on packaging. Great for a few uses, though it is not water proof as claimed on packaging. Rated 4 out of 5 by Jeff from This little light rocks. Very bright and someone like me with vision problems this product helped. This little light rocks. Very bright and someone like me with vision problems this product helped. Rated 5 out of 5 by SSam from Perfect for lighting small, dark work areas and eliminating shadows.... Perfect for lighting small, dark work areas and eliminating shadows. Provides enough control over beam (spot or flood or in-between). What a difference from the old “flashlight on a headband!"